Personalize this item with your pet's name or photo... Or your own! 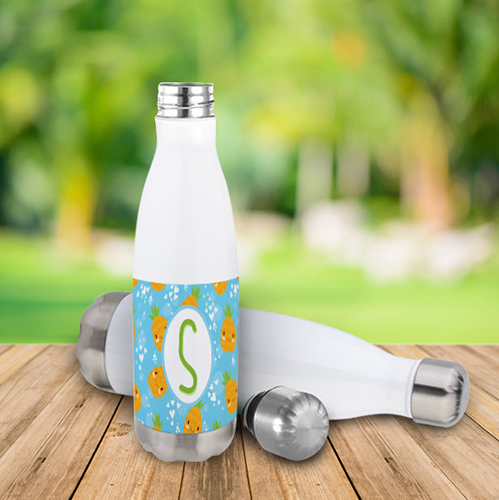 Stay hydrated and cool with a customized insulated stainless steel 500ml cola bottle! Also perfect as promotional products for wellness and health oriented brands. Unique slimline cola bottle shape allows for full wrap printing of any design or image along the base!